In this remote learning course, we will introduce the common infrastructure building blocks of OpenStack, including Compute (Nova), Networking (Neutron), and Storage (Cinder/Swift). We begin by teaching the concepts of how to build an instance. Next, we jump into Networking and its various components, as it relates to connectivity to and from Instances. We will then explore the types of storage available within OpenStack. The course will conclude with a live demonstration of all the components reviewed, working together as the “Hello World” of OpenStack. In this introductory course, students will receive an overview of the OpenStack Compute (Nova), Networking (Neutron) and Storage (Cinder/Swift) services. 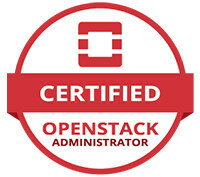 The journey begins with learning about the evolution of cloud computing and the OpenStack platform. Next, dive into the origin of OpenStack to gain an understanding of what OpenStack is and its practical applications. Finally, students end their journey by learning about real-world examples of how OpenStack benefits businesses worldwide. In this introductory remote learning course, students will receive an overview of the evolution of containerization technology. The journey begins with understanding virtualization and Linux containers. Next, we take a closer look at Docker technology and how it relates to Kubernetes. This class lays the ground work for our class The “Hello World” of Kubernetes. In this remote learning course, we will introduce the basic concepts of Kubernetes. We will take a look at Pods, Services, Volumes and Controllers and how those objects work together. By the end of this course, students will learn how to install and run a simple “Hello World” application in Kubernetes via the kubectl command line tool.